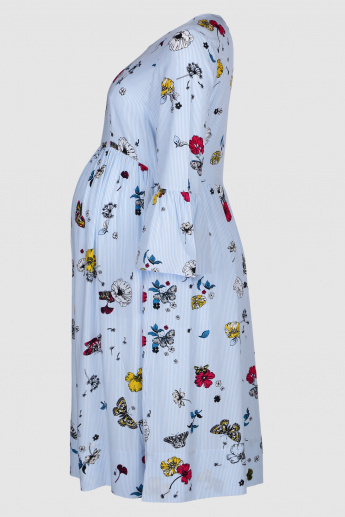 Set new style trends during your pregnancy by wearing this alluring dress. 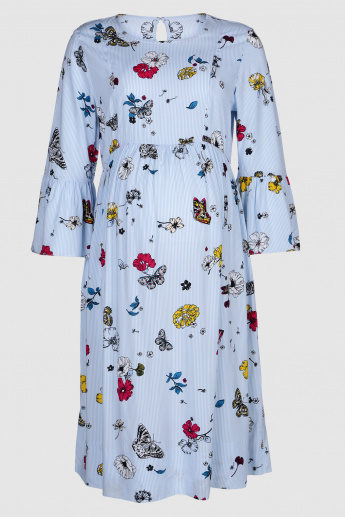 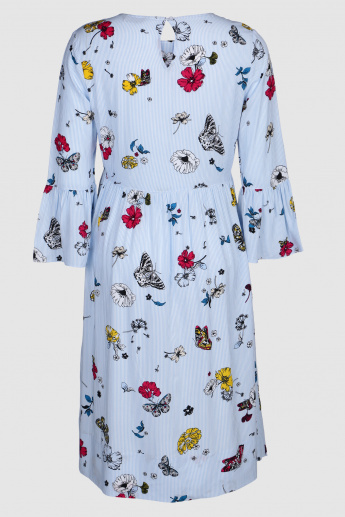 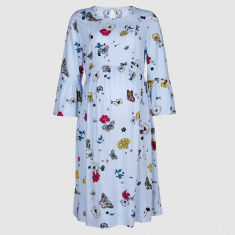 Flaunting an attractive print all over, this dress looks striking and is fashioned with ruffle sleeves to add a dose of modernity to its appeal. 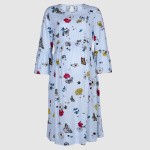 With a soft make, this dress is comfortable to wear.